WASHINGTON—In an impassioned call for preemptive action against the Middle Eastern nation, United States national security advisor John Bolton insisted Thursday that Iran was likely harboring the dangerous terrorist Osama bin Laden. “For the good of our nation, we must act immediately,” said Bolton, citing several intelligence reports providing significant evidence that Iran is currently providing sanctuary to the Al-Qaeda leader and mastermind of the Sept. 11 attacks. “We must never rest until this fugitive is brought to justice, and the only way to achieve that is through repeated and prolonged military strikes on Iran. We have reason to believe that he’s living in a compound there where he’s training a legion of bloodthirsty Iranian civilians to take up arms as the next generation of terrorists. 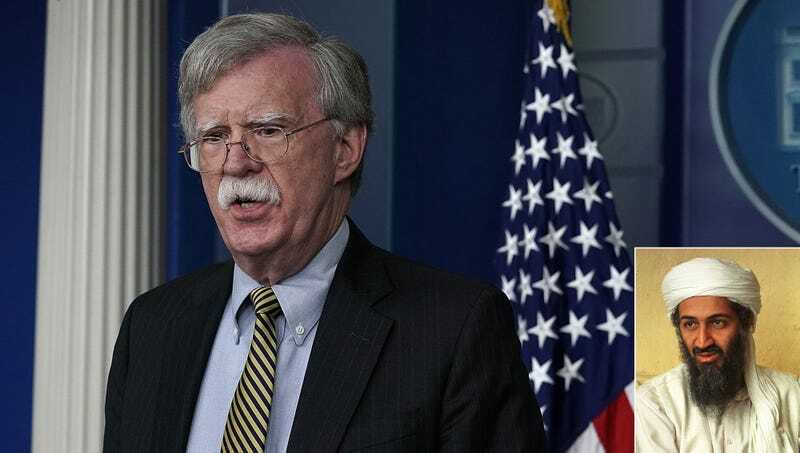 It is our solemn duty as the international safeguard of freedom to prevent this at all costs.” At press time, Bolton had left the podium to follow up on an important tip that Iranian leaders had hired American nuclear physicist Otto Gunther Octavius.